You are here: Home / SOS Blog / Social Media Tips / How Does Twitter Help My Website? How does Twitter actually help my website? Twitter (along with Facebook) are the two must have social media these days for your website. You can add YouTube or Linkedin or Instagram as well as a number of other social media outlets. These can be very valuable in reaching targeted audiences for a specific purpose. But Twitter and Facebook are the two giants with the biggest potential for social media reach and a good way to help build up traffic to your site. A Twitter account is fairly straight forward to set up. Maintaining Twitter so that it pays off for you comes in two flavors: manual tweets (which are time consuming) and hooking up your website updates to automatically post to Twitter. I recommend clients do a hybrid of the two. The payoff of using Twitter in combination with your website comes in both the directional flow of the information and the way you can measure your objectives. I wrote a blog post about how important it is that you control your information and not let social media control it. Make your social media work for you: its easy to post directly to Facebook or Twitter – but that doesn’t get those people to your web site to read your article or buy your book or product or sign up for your newsletter. So post to Twitter from your website. That way, you have a greater chance of getting that Call To Action button clicked. 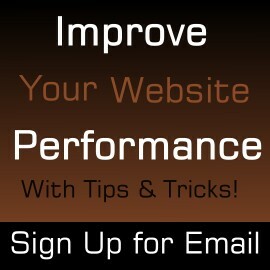 You can also better track your website’s analytics performance this way. There are also paid analytics options for twitter but this will get you started!